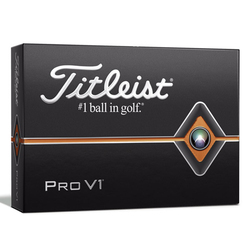 At Titleist, our mission is to design and produce golf balls of superior performance and superior quality. 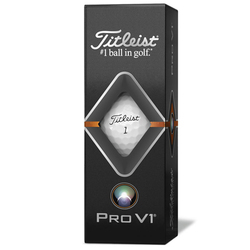 That requires advanced technology and precision manufacturing to give golfers what they need to execute every shot. The new Titleist Pro V1 golf ball is designed for maximum distance and the best short game control to help all golfers shoot lower scores. 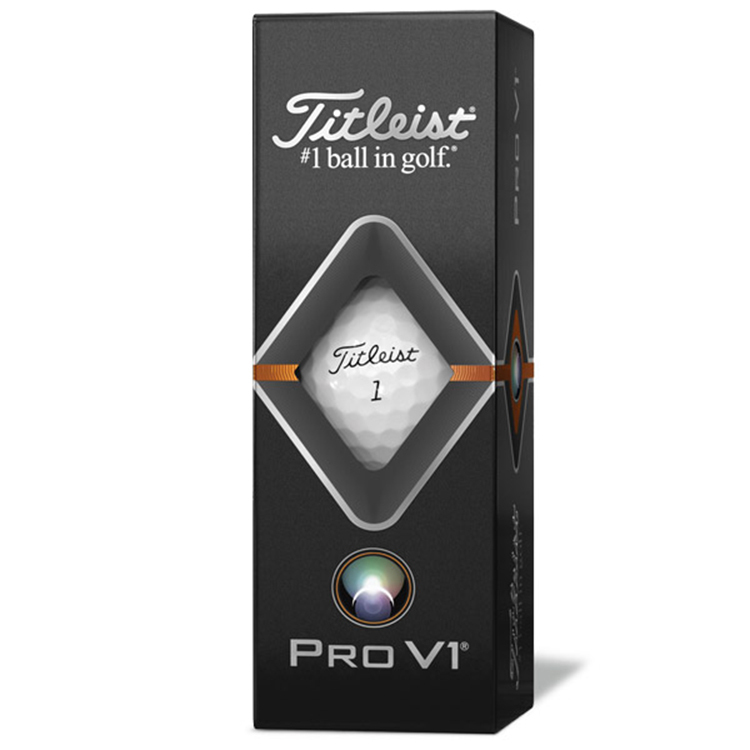 - Spherically-Tiled 352 Tetrahedral Dimple Design Delivers Penetrating, Consistent Flight. Available in white and high optic yellow. White golf balls are available in play numbers: 1-4, 5-8 and all the same play number 00, 1-99. 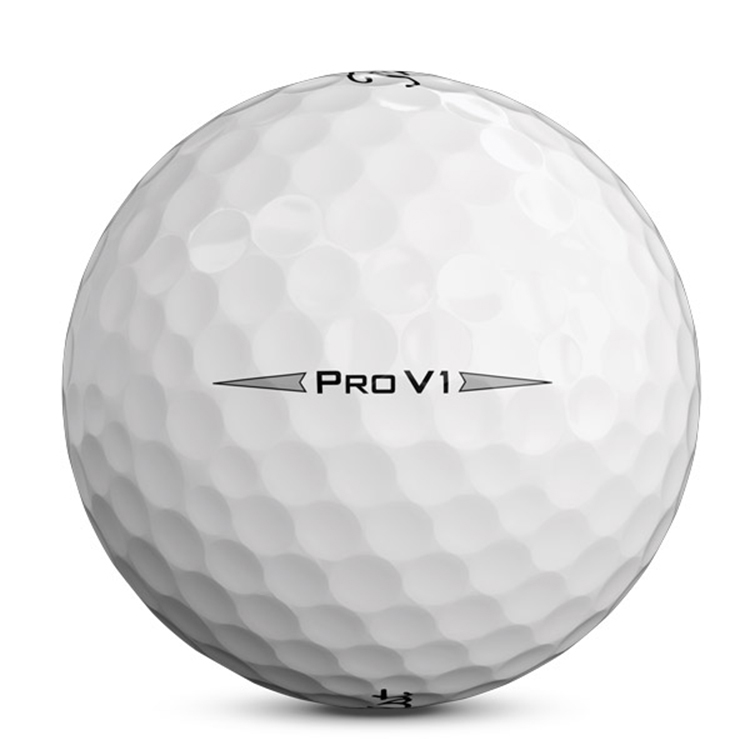 High optic yellow golf balls are available in play numbers 1-4. 1.5" x 12" x 8"
Includes PMS Match at No Charge, 1 to 5 Spot Colors Included, Full Color Process Print. Additional Location Charge: 12-23: $8.00; 24-47: $6.00; 48-119: $5.00. Overnight 3 Day Rush - Includes Overnight Shipping $16.00(A) per dozen -12 Dozen Minimum. Light 3 Day Rush -Freight Not Included $6.00(A) per dozen -12 Dozen Minimum. Imprint area: Pole 1 Pole 2. Player Number: Available in Standard Player Numbers (1-4). Player Number: Available in High Player Numbers (5-8). Player Number: Available in a specific player number (00, 10-99). Lead time: varies for new artwork/repeat artwork/specific numbers- please call for info! Available in White, Yellow and Pink. White and Yellow are available now, pink to follow at a later date to be announced. Item Numbers: White (T2026C), Yellow (T2126C), Pink (T2A26C). White available now; yellow available in March.